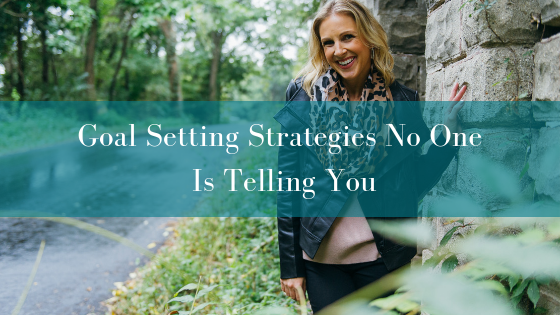 I want to talk to you about goal-setting today and I usually talk about goal setting at the end of January or a few weeks in because the excitement is gone. People aren't talking about goal-setting anymore. We think about it right after Christmas, into the New Year and we'll think about it and then all of a sudden the year just starts and we all of a sudden, look up and go, oh yeah, what were my goals?? Did I write them yet? What's going on? So even if you've already written your goals for the year, you're doing well, I want this to teach you a few things that I want you to do with your goals. But I really want to help you look back at some of the wins and learning lessons and then use that information to really create the year that you want to create! There are so many times you don't you hear people say success leaves clues. There are so many clues with everything we've done in 2018 for us to really take that knowledge and then use it to make 2019 the year that you want it to be. If you're thinking I'm late to the game…I want you to understand that most people have already given up on their goals for the year. This is just my way, as a little friendly reminder, to make sure that you're not one of those people in that statistic. I want you to be thinking about some of your wins from last year and I did this activity at a mastermind retreat that I was in and I had to write down all of my wins from the previous year. You guys… that was hard! It was incredibly hard to write down everything that I could possibly remember but I'm going to give you just a few of them that I wrote down. I do want you do actually do this activity! You may be looking at your calendar and going, I did this, I did that. One big win is we took 5 family vacations last year. 5! That seems nuts. My goal is 6 family vacations every year and a crazy goal is 1 every 6 months. But I said to myself, wait a minute…did this all happen in 2018? This is crazy! We've never done that before and I'm so glad by going back and looking at my calendar I could see what I was doing and where I was. I thought wow, the kids and Kent came with me on 4 trips. I was very intentional this year for the past year about bringing them with me when it made sense. So my first thing that I did was our Power House Retreat kicked off at the end of January, beginning of February last year and I picked Phoenix. I picked it on purpose because we have family that lives there. I thought I'll bring my husband, I'll bring the kids and they can visit their cousins while I'm working for 2 days. Then I'll stick around and hang out the family and I'm really glad I did that. After that trip, we went to Florida with my extended family. We looked at rental properties to purchase in Florida just for about a day and we learned a ton! We went back in May with the kids and we were just there on a mission to buy a house which we did! Then we took the kids and my whole family and we took everybody to Italy. This was me picking a bucket list trip that I forced myself to go to, put it on my calendar, made it be a part of work and I said, the family's coming. I was really, really happy to do that. It was definitely stressful at times bringing your entire family including you're 85 year old grandmother who's never done a trip like that. There's a lot of things that we did together, but I'm so glad everybody came and it was just one of those trips that I'll never forget and probably the last trip we will ever take as such a large family at least like that to Europe. So, 5 different times we took these trips and in each one of those there were a lot of downtime. In Italy my biggest win was that I didn't take my computer and one of my team members came and stayed with me the entire 10 days where she was able to watch the kids so Kent and I could go to dinner by ourselves or walk around the city. I was so happy we did that, we've never done that before that seemed like such a luxury, but it was such a great way to get the most out of out of our time. Another big win was it was my best year in business for all of my businesses, which is pretty incredible! I'm very happy about that. We bought a Florida homes and I think one of my big wins was having Powerhouse successfully take off. I kept going back and forth, back and forth…is a mastermind going to be right for me? Will people invest in it? Will they see me as somebody who can facilitate this and bring this great group of people together? I was so thrilled with my first year last year having 11 incredible ladies and it was the best way to kick that off and I'm just so proud of myself for doing it even though I still had doubts. I really wasn't sure and it was one of the best decisions I made last year and is one of my most fun programs! I'm just really proud of that! I also walked on fire at Tony Robbins, which was definitely on my bucket list for a long long time. I love it. I love doing that. I did an entire podcast on Tony Robbins which is one of my top 5 most downloaded podcasts. Now, I think my last big win that I'm going to share with you is now that Tanner's in kindergarten I had to cut my hours down and I only work from 9 to 3 each day, which I was a little scared about, not going to lie. It just reminded me that we work too much, we work WAY too much! So whether you work 9-5 or 9-9 or 9-3, you just have to be super productive and get the good stuff done and get your biggest priority done. Pick your biggest priorities and get them done. Every morning when I wake up, I have my gratitude journal and I'm just writing my day out and I always say what is one thing I need to get done today? Whatever that one thing is, is the first thing I work on. Even if I only do that one thing I still move the needle forward in my business and that has worked out really well. So, let's dive into the next part…my biggest learning lessons from this past year. The first thing is, I don't think I want to travel over Christmas again or if I do I want to go someplace really dead that's not touristy or crazy crowded. I'm such an introvert and I just like to relax and I realized that I over schedule all my vacations. I'm such a type-A planner and I plan all this stuff in and my favorite times are when I'm sitting at home, reading while the kids are swimming and that was my favorite part of even going to the Florida house. Just taking it easy, hang out at home, cooking at home, really being a homebody and just be okay with that. My big lesson learned is that I don't have to go do a million things and the kids like it better too! We were in Italy, and obviously we didn't take the kids to Italy so they can experience it, there were 3 and 5. I took them because I selfishly wanted to go for 10 days and I didn't want to leave them for 10 days, so I'm like you're coming with! But guess what their favorite things to do were? They would want to find a playground and they would want to hangout at the hotel or the Airbnb and play with some toys. That's the kind of stuff that they like and I think a lot of times it's really easy as a parent to plan a big trip to Disney World and all of these crazy things and they don't even want to do that half the time. When we went to Disney World this past year I kept telling Tanner we were going to go to the park tomorrow. That's what they call the ‘park' at Disney World, parks, right?! We get to the car, we're walking and she's in a stroller. I'm scooting her along and she starts to cry. I said, Tanner, what's wrong? We're in the happiest place on Earth and she's crying! She's like, are we going to the park? She was picturing swings and a slide and I'm bringing her to Disney World. Not that my children aren't grateful, but I'm just trying to show you that I think we try to overly impress and be amazing parents and sometimes they just want simple things and an easy life. Teagan's preschool teacher asked her what her favorite part of Italy was and she said spending time with my mom! And you know, when is the last time I spent 10 days with her, all day everyday, we even slept in the same bed together for 10 days. That was actually a lesson learned there…she came home and she thought that was a new permanent thing for us to sleep in the same bed! But I think just having all these little things that have really helped so I'm just going to really try to relax this year. I don't know how I'm going to do that but I think the lesson learned is I travel too much without the kids. So I have a lot of trips with them, but I don't have a trip without them and I still have little kids and I don't really want to be gone for that much. I really did fix this problem for next year because I did cut out one of the masterminds that I was in. Unless you're still saying yes to a lot of other little things, I'm very, very cautious before I say yes to anything. I also made 2 of my Powerhouse Mastermind retreats super close to me. So one is in Chicago where I can drive and another one is in Nashville where I can make a very short flight. I'm being very strategic but picking places where for me it's going to be very easy. Sometimes I go to California and it's a full day of travel there and back so I don't want to miss out if I can fly somewhere for an hour. I want to make sure that these are really, really easy for us and them. Yes. I'm making sure my customers enjoy it but I have to make sure I enjoy it too. You have to like it just as much as they do or what are we doing here? The last trip is to Barcelona, Spain! Yes, it's far but the kids are always going to come with us because we're always going to try to go for 10 days or two weeks or something like that and make it be a big trip. So with that, I'll take the kids but I'm always going to bring somebody to help us watch them so we can still go do adult things like hang out by ourselves and just have that time alone because it's super important to do that. That's one of my big learning lessons. I would say even though Kent and I had that time to ourselves, it's not the same as taking a trip by ourselves and I wish we would have had a trip like that last year. 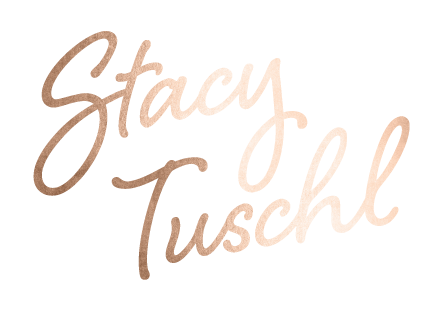 Lastly, I want to talk about my focus for this year! You can see how we're doing this. We have our wins, learning lessons and then our focus. You're brain dumping all your wins, all your learning lessons so now we can stop and figure out your focus for this year. Now, typically, I do my one focus where this is going to be a lot of things but I'm not thinking of all of these every day. So I'm going to brain dump a bunch of these for you, but I want you understand that, for me, I really want to work smarter with what I already have. We always hear work smarter, not harder, but I think sometimes we forget how much good stuff we have already going on. I was talking to my CPA and he just said I don't think you understand what you've got going on in this one business and your focus is here. But if we put it here this could blow up for you. I think I'm just so eager to go, what's next, what's next, what's next?? You better really sit and ask yourself, am I even maximizing what I've got going on before I jump to that next big thing?? That's when you wake up and go how did I even get here…I've done nothing this year and right now it's only January, but you guys what if it's the end of the year? What if it's December 2019, and I don't really have anything that I'm super proud of and if your focus isn't on what you already have that's working, I would really stop and evaluate that. I'm going to really do my best to not look at vanity numbers. I want to look at real numbers and the numbers that are not public and you know why? Because public numbers can be bought. First of all, if you're impressed with somebody's social media following they could have bought those followers. There's unbelievable things you can do these days, especially if you have money and so I'm just not even going to focus on it. Yes, I want to focus on my email list. I want to focus on the numbers that people talk about but you have no idea if they're real. So when they say how many people are there, how many downloads does their podcast get or what kind of money do they make? Those are all private numbers and nobody knows. I know those numbers are not for anybody else but myself, not so I can break or tell you how many followers, email subscribers I have or let you know what my gross revenue was this year but it's so that I feel good about what's going on internally in my businesses. I'm super focused this year, which I have already have started this just really funding my retirement account, getting smart with our money, having a certain business savings in every one of my business accounts. You just never know when something's going to hit. Nobody saw the recession coming but people talked about it, but we just can't believe it or we weren't sure or if you were like me and you were pretty young in 2008, we were asking what a recession was or what that could look like. We never know what's going to happen with anything and I want to make sure that no matter what happens, I'm in a safe and secure place. I'm going to really focus on having personal savings, business savings and I want everything to be so good that it doesn't really matter what happens. That's a big one for me and you can see it's not something you're ever going to know. Did she do it? Did she not but I'm telling you this is what I'm going to focus on and I hope you do too because these are the numbers that actually matter you guys! Next, I want to focus on my rental properties. By that I mean I've been doing it successfully but I didn't realize this was a good thing. I didn't realize rental properties could be like this real business that you treat like a real business. I've kind of been treating it like just an extra thing and I was happy with that going on and I started to get obsessed with other podcasts on this. There's a show on Netflix called Stay Here…you need to watch it! Even if you don't have a rental property it's actually pretty amazing. It's a great business show and I think this year I have a focus on making these rental properties be like a real business and I'm going to get a logo, I'm getting a website, we're doing all these things that I didn't know was a thing until I started listening to these experts and now I'm ready just to say, game on let's do this! We're going to buy another rental property so we're actually going to sell our lake house here in Wisconsin, which is scary because it actually is very profitable. We make way more money than the Florida home. You might think who in the world wants to visit Wisconsin? But people do come here and our lake house does incredibly! I think we're getting around $2,200 a week in the summer and we're booked solid from Memorial day until Labor Day but then you're thinking we'll who's renting it in the winter? We're renting between 2-4 weekends a month which makes it possible even in the off-season. So it's a little scary because we're selling the house and we're going to be looking to get a new property for the sake of, we're looking to find a really great property manager and there's just not a lot of property managers in places where that rental property is in Paddock Lake, Wisconsin. So we're looking at major destinations in Oahu, Hawaii! We're looking at some big ones that we know would be great and have great property managers because we kind of love seeing a property manager take over like they have in Florida. So that's something we're going to do and it's just to simplify. I'm really focusing on minimalism and decluttering and just being appreciative and grateful for what we have and loving every single thing in my house. I have probably gotten rid of 12 garbage bags full of donations and probably more than that in trash was just thrown away and it feels so good to declutter, to make space, to look around your house and just love what you see and to have a clean house because the less stuff you have the less stuff you have to make a mess. I've been binging podcast after podcast, anything you can find on decluttering and organizing and being a minimalist. I'm loving it and it's just been game changer for the past few weeks I've been doing it. I'm also going to focus on being a better mom. I really do feel good about that, but I can always do better and if I'm going to try to get better at something, what better to get better at than being a mom and a wife. I think that's one of my things this year. I recently started looking at parenting podcasts and I'm on a mission to get Kent convinced to go to this parenting workshop with me. I'm pretty sure I'll get him to go but we'll see! I think if I can convince him how much it means to me, I think I will get him to go. I keep trying to make him feel guilty, like do you want me to be the only one that's there by herself?! I think I'm going to get him there and I I just know that the power of going together as a couple because if I come home all excited about these new things I want to try but she's not on the same page, it's kind of like why do it? I think we have great kids, but we could always be better parents and I think times are changing and as the kids get older we're getting into new territory. I want to learn from people who've been there and done that and if I can save time and money by going to the experts, I'm all for that. Now, my health. I'm very obsessed with being healthy and not with being skinny, not with losing weight, I'm very obsessed with being as healthy as I can and living as long as I can with a great quality of life. So I have family members that have dementia including my grandfather. He was around for 10 years with crazy dementia and my family lives a long, long time, but they live not being mentally there and it's so hard to watch. I just want to make sure that I can do everything I can. I look at what has happened in my family and how people are living and what their quality of life is and I want to live as long as I can with the best quality of life I can. So I've been loving Bulletproof Radio podcast. I have been loving BioTrust. My friend Sean runs this BioTrust podcast, which is so good!! I'm just looking for any type of biohacking and I've been obsessed with sleep and biohacking my sleep and I could probably do an entire podcast episode on this! I'm waking up refreshed and I'm more productive I get so much done in my workday that all of a sudden I can go, I don't have to feel guilty about hanging out with my kids from 3-7 until they go to bed because I've done so much good stuff today that I can truly sit and relax and hang out with them. So I just feel where I'm focusing on my health, it's helping me become a better Mom. It's helping me become a better business owner and it just like all full circle! Everything is just working out together. I'm really focusing on my house, focusing on trying to not be stressed when I run all these businesses and have young children and there's a lot going on and it's hard to relax with all of that. I want to get really great about self-care. I'm pretty good already, I'm doing weekly massages and acupuncture, just anything where I can just take a moment and slow down. My last focus is really being the gatekeeper to everything, mostly my calendar. I should say no to a lot of things but that doesn't mean I'm not saying yes to anything, right? It just means really being limited and saying no and understanding that if this isn't an absolute 100%, I want to do this, get it off your calendar because there will be conflict. 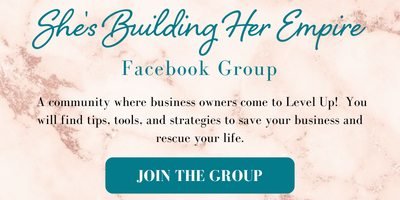 I had to let go of feeling like I needed to do everything or I was going to be missing out, missing the boat and couldn't have a successful business. I'm going to be thinking about something about 5 times before I let it into my house or let it on my calendar or in my body. I just want to be super cautious before I just act quickly all the time. I'm going to stop and think do I really need this? Am I going to be happy 6 months from now when I see this on my calendar? Am I going to be happy 6 months from now when I'm throwing it in garbage bags to go to donate to get rid of it? So I really wanted to slow down, take a minute and just be very grateful for what's on my calendar or in my home or in my business. I'll tell you 2019 is already going to be a successful year for me just by putting these boundaries in place! If you haven't done this yet, maybe you've done goal-setting and feel like you haven't really recognized your wins yet or don't really know your learning lessons but if you don't know those 2 things, how can you truly set this in place? A big thing for me is just being vocal. I almost didn't record my last podcast and was going to keep it to myself. But I thought I'm going to put it out there because when I say something and I tell you I'm doing something people call me out. I want to be held accountable! If I really wanted to get healthy, I'm hanging out with healthy people. I'm trying to clear the clutter, clear the calendar, maybe clear out some friends, some people that aren't going to be good for you in 2019, right? So if you haven't already…write down your top 3 wins from last year, 3 of your biggest learning lessons and then your focus. If you need to be held accountable or you want to be somebody who's going to really do what they say, make sure to subscribe to this podcast so I can help you stay on track week after week! We're here to help in any way possible because honestly you guys, the more we simplify the more we can just relax and do what we want to do. I love getting in my zone of genius and helping people do the same thing. So I'm here for you. I believe this can be your year!